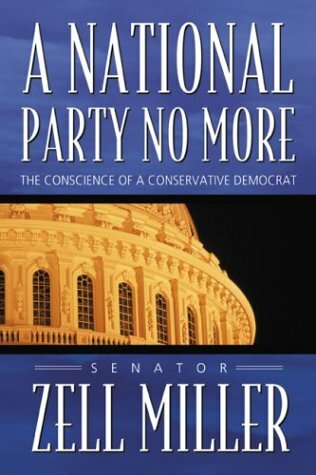 With the growl of the Marine sergeant he was, Senator Zell Miller leaves no doubt that he believes his own Democratic Party is badly out of step with most of the country and needs to shape up or ship out. As part of a stinging critique of the Democratic Party, Miller outlines key positions on important issues that can again make the party relevant for the entire nation. From tax cuts to welfare, gun control to the environment, the arts to education, immigration to terrorism, Miller identifies values that make sense to a growing majority of Americans. Miller's candid analysis of the campaigns of Jimmy Carter and Bill Clinton further underscores his conclusion that the Democratic Party can no longer field a serious presidential challenge. Many party loyalists will not like what Senator Miller writes; yet his credentials are beyond question, for few Democrats have worked longer or stronger for the party and its candidates. Zell Miller began his career in public service in 1959 with a term as mayor of Young Harris, Georgia. In 1960, he was elected to the Georgia Senate at the age of 28. In 1974, he won the first of four consecutive terms as Georgia’s lieutenant governor. Then in 1990, Miller ran for governor and won the first of two terms he would serve as the state’s top leader. Miller’s HOPE Scholarship program was dubbed by the Los Angeles Times as "the most far-reaching scholarship program in the nation.’’ His pre-kindergarten program won an award for innovation from the Kennedy School of Government at Harvard. After leaving the governor’s office in 1999, Miller taught at Emory University and at his alma maters, the University of Georgia and Young Harris College. Five books have been written by Miller, including "Corps Values: Everything You Need To Know I Learned in the Marines." He also served on several corporate boards before joining the Senate, where he now serves.